One of the most popular Xiaomi phone Hongmi would be launched globally with a brand new name Redmi. It is being sold in China for a $100 or $135 price and has specifications which can be considered excellent for its budget price tag. This device includes a 4.7 inch IPS capacitive touchscreen display that has a 720 x 1280 pixel screen resolution. It comes with a 1GB RAM and a 4GB of storage memory. Redmi also features a MicroSD slot for its users if they want to further expand the phone’s storage capacity. This mobile comes with a Full HD 8 megapixels back camera and a 1.3 MP front camera. Hongmi is powered by a 1.5 GHz MT6589T quad-core processor and it uses MIUI V5 user interface on top of Android jelly bean OS. MicroSD card slot for storage expansion. Dual SIM GSM + WCDMA network compatible. 4.7 inch HD 720p display. 1.5 GHz quad-core MT6589T processor from MediaTek. The specifications are very impressive and they suit well for Redmi’s price low price tag of 7000 – 8000 Rs. Singapore would be the first place to see the launch of this handset. In the coming months, we can expect this phone to be launched in India too. 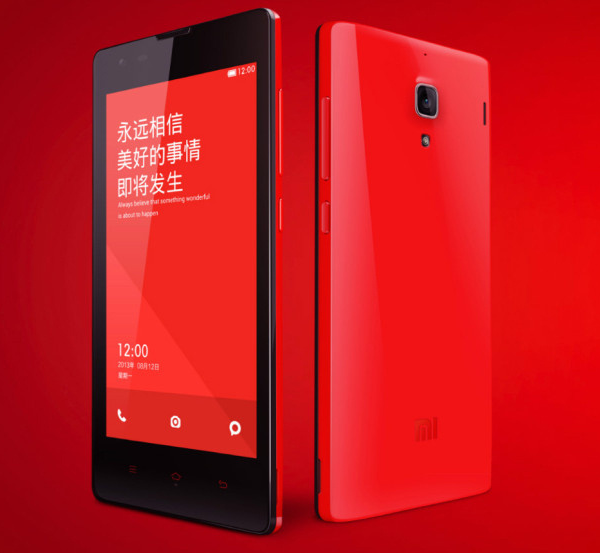 Xiaomi Redmi Price: 7000 – 8000 Rs (below $135). Update: 1S and its Redmi 2 handsets were launched in India last year. 1s was a massive hit and it has online sales has been discontinued. If you want this phone, visit your nearest the mobile store shop. Redmi 2 has been moderately successful. It’s available on Amazon, Flipkart and Snapdeal websites for 7000 Rs. This year i.e 2015, Xiaomi will launch a couple of new phones named Redmi 2A and Note Pro. Stay tuned! We’ll cover new and all upcoming Xiaomi products on our website. Make sure that you subscribe our newsletter to get updates to your inbox.